Here I am! Your new baby! I’m pretty darn cute, right? I know you’re surprised to see this letter. You didn’t expect me to arrive with a special delivery, did you? But I had a lot of time on my hands in Mommy’s tummy. I mean, it was warm and cozy in there, and the room service was great, but it was kind of boring, to be honest. Just growing and growing, day after day. I recommend cable TV for the next kid. There wasn’t much of a view, either. I couldn’t find any windows and I had trouble peeking from Mommy’s belly button. To tell the truth, I got a little worried. I didn’t know what to expect out here and I was afraid I might step right into a shark tank or something. You must be wondering why I wrote this letter, huh? Well, actually, I have an important favor to ask. The trouble is, I can’t talk yet. I can scream, you know, but I didn’t think screaming would be a polite way to ask for a favor. You probably wouldn’t really listen, anyway—you’d just stick a bottle of milk in my mouth. I won’t be a teenager for years, and already we’re having problems communicating! So I decided to write this letter. You see, being bilingual would be good for me, I think. I hear it’s good for the brain—it makes the brain stronger. Maybe I don’t really know what a brain is yet, but I figure it can’t hurt to have a good, strong one, right? And being bilingual could be good for my future, too. I might have a chance to make more friends and get a good job. After you’ve spent all your money on me, I can help you when you’re old and poor. Plus, I’m not sure yet if you guys speak two different languages or what, but if you do, I’d like to learn both of them. I mean, unless I can speak the languages you know best, I don’t think I can really know you, or your culture. The problem is, I can’t become bilingual all by myself. I would if I could—but I’d also change my own diapers, if that were possible, so I wouldn’t have to wait around for you to notice. No one likes diaper rash, you know. What can you do to help me be bilingual? At the same time, do whatever you can to support my second language—the one I don’t use as often. Even when I moan about this stuff, keep going, keep trying. When I’m grown up, and I’m bilingual, I’ll be really glad you did your best. If you give up, I think we’ll both regret it. Guys, thanks for listening. I’m happy we’re together now. I know everything won’t be as much fun as thumb-sucking, but I’m excited about the future. And most of all, let’s remember to love each other, day and night, like there’s no tomorrow. P.S. I want a puppy with floppy ears. Want to read this in Spanish? Carolina Castro Parra kindly made a PDF for Spanish speakers. Click right here to read it and share it. Annika, I like your post very much. Despite any disappointment over the past, it’s wonderful how you’ve managed to become multilingual over the years and are now giving the same gift to your children. Good for you! Congratulations, Olga! I wish you and your new baby a marvelous multilingual journey together! My son moaned and groaned from 5th to 9th grade about this. He hit High School, and people were searching him out. They wanted to be friends with the bilingual guy who knows so much about English. Dennis, that’s so great to hear! Thanks for sharing your experience! I hope my kids will thank me one day, too…though it probably won’t be today since they both weren’t happy about doing their homework. Ute, thank you for your kind comment. It’s wonderful how your family has created a multilingual legacy, from generation to generation. 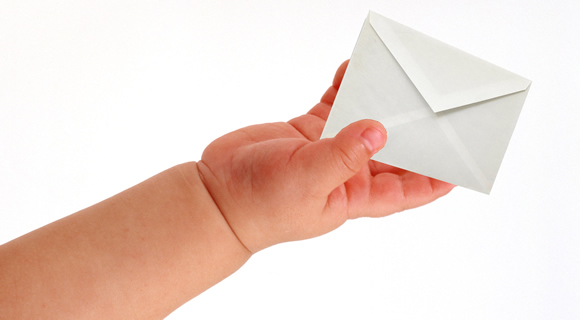 The letter written by François Grosjean to his new grandchild is lovely, I think. Thanks for sharing the link. 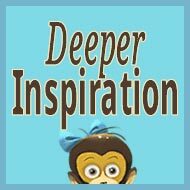 Just stumbled upon your blog and I love it! 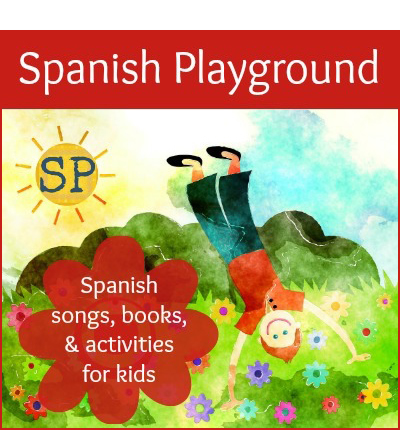 I’m a native Spanish speaker and have started doing my fair amount of research for my now 13 month old boy! He will totally be bilingual at least! I love languages I speak 3 fluently and am learning my 4th, I blog about my experience as well, not exclusively but have dedicated several posts to this topic at http://denhie.blogspot.com/2013/01/bilingualbicultural.html. 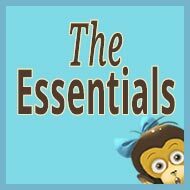 Thank you for posting a blog for parents like me! What a cute letter! I really enjoy it. Raising bilingual kids starts at home. This is a journey with ups and downs. But, it is an amazing journey. I agree we need to keep it going and keep trying even when the kids are encountering some bumps on the way. It is a gift that we have for them. Amanda, thanks! I’m glad you liked it! I absolutely agree: bilingualism is among the greatest gifts we can give our kids. Kiara, thank you, too! I wish you the best of luck on your own bilingual journey! Let’s keep moving forward, no matter what! A great letter and a good way to keep the motivation up for tired, hard-working parents. I just wish you had something earlier about not letting the board book hit baby’s head as this has happened a few times. Ouch! Stephen, thanks. I’m glad you liked this post. Yes, I agree, those board books should probably come with some sort of warning sticker! What a cute post! 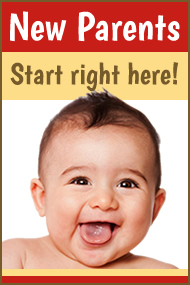 And I agree with baby, it will be so much easier starting from the beginning! I can’t blame my parents for the way they approached it, but I have been a little too relaxed and need to step up my game! Thanks for the reminder, “baby”! Mercedes, “baby” is happy to hear this post was a helpful reminder! Best of luck with your efforts at home! Jeffrey, I’m glad you enjoyed this post. 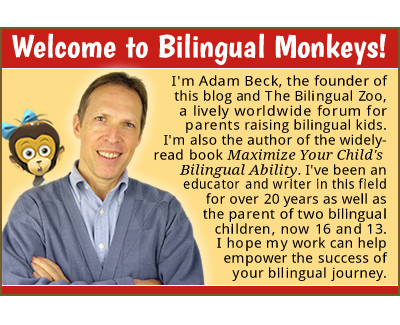 I wish you the best with your efforts to support your son’s bilingual development. Keep up the good work on your blog, too! I am at the library and some people here gave me stares as they saw me trying to control my giggles while reading this! I just can’t help but laugh, I mean controlled laugh, lol! Adam, you are such a comedian! I like those funny lines fictioned by you. I was so sleepy here and this made me so awake! I agree with the baby’s letter! This really sounds so right! I am pretty sure that kids or even the grown-ups who see bilingual kids like Lulu and Roy are really regretting this thing! Maybe they are saying “If only I could tell my Mom and Dad that I wanted to learn their other language too, so I have much more advantage in this and that…” This is the best eye opener to everyone who happens to be bilingual or multilingual – not to waste their own language skills! It is a must share, must progress and must multiply! Yes, it is great for kids to be bilingual. I teach ESL and based on studies, it seems it helps organize language and lessen confusion and merging when one parent talks almost exclusively in English to their child and the other in the 2nd language. It is good for them to hear parents speak to each other using either language and try not to blend them when they speak. Rose, thank you for adding your helpful thoughts. Best wishes with your teaching! I won’t give up, my Little Monkey! 😀 Fondly, Your Mummy! Adam! Your website is fantastic! Thank you very much! Beata from Hungary! Beata, thank you for your kind words! Let’s keep doing our best for our little monkeys, day after day! 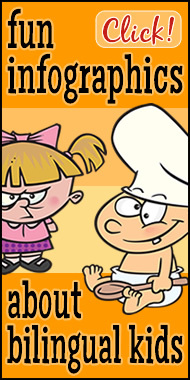 My fiancee and I are thinking about having a baby and we want it to be bilingual of course. Our mother tongue is Spanish and we live in a Spanish speaking country so it’s a little concerning and maybe challenging for me since most likely my mother-in-law will take care of the baby most of the time and she only speaks Spanish. We are both fluent in English and he’s actually an English teacher so maybe that will help? I was just wondering if you thought it would still stick although it probably wouldn’t be so many hours a day where the baby would be surrounded by people speaking English. Thanks in advance. Patty, the two “core conditions” for fostering active language ability are exposure and need: the child must receive sufficient exposure to the target language and also feel a genuine need to use it for communication. I can’t judge whether you will be meeting these conditions in the scenario you describe, though it sounds like there may be a lack of exposure unless you make English your home language, with both you and your partner consistently using English with the child. Adam, I love the letter and I think the sentiments go well with this video: http://youtube.com/watch?v=v8vi31Pg1MQ. 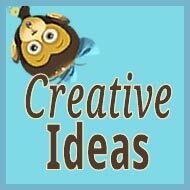 In general, I like the fact that you have created a site for like minded parents. I hope to speak with you soon! DJ, I’m glad you enjoyed this post. 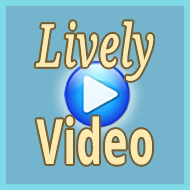 Thank you for sharing the link to your video. 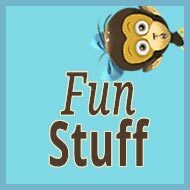 This is my first visit to your blog and I totally love it! I am pregnant awaiting our first kid’s arrival in July! Something both my partner and I would like is bringing up a bilingual kid. Both of us are from India and our native language is Tamil. We feel bad seeing our friends’ kids speaking in English and completely ignoring Tamil. When we bring up the bilingual discussion, the parents usually dismiss it saying, “The minute kids get into child care where English is the primary language, the native language just goes for a toss.” I wanted to browse the Internet to see if it is really difficult to teach kids a minority language when living in an English speaking country! Your blog has really given be the confidence that with the right efforts, we should be in a good position to bring up our kid bilingual. We are living in Australia but to stay in touch with my native language, I write my blog in Tamil. So, your captive reading article and the “writing my own version of stories in the native language” surely rang a bell! I will definitely give it a shot and start having some ready for the kid (I know it is a bit too early…but nothing wrong in starting earlier…heh??) Thanks again, Adam! While it’s true that handing down a mother tongue under such circumstances is challenging, it’s not at all impossible: our success largely depends on our level of conscious and proactive effort. If nurturing your new baby’s ability in Tamil is important to you, then make this one of your highest priorities, a central part of your family’s daily lifestyle. The fact that you keep a blog, and are already eager to write “captive reading stories” in Tamil, are good signs, I think. 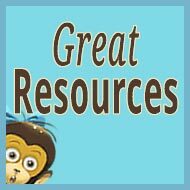 If you haven’t already come across it, this resource page for new parents could be of special interest. 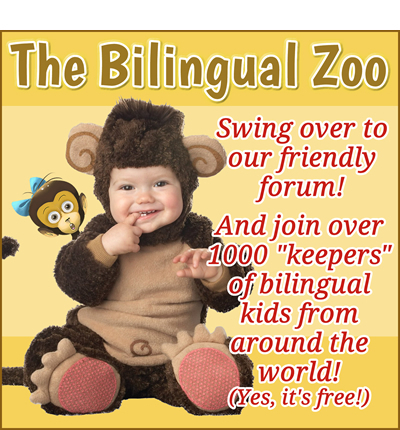 And you would be welcome to join me and many other proactive parents at our lively forum, The Bilingual Zoo. Anu, you can do it! And I look forward to hearing good news from you as time goes by. In the meantime, I send best wishes from Japan to Australia! Your post is exactly what I want now! To be honest, I am not fluent in English. However, I admire these bilingual even multilingual friends of mine. All of them looked so confident and intelligent! I will consider your wonderful post as a guide for my newborn baby and myself. Thank you sooooo much! Pingping, congratulations on the new baby! 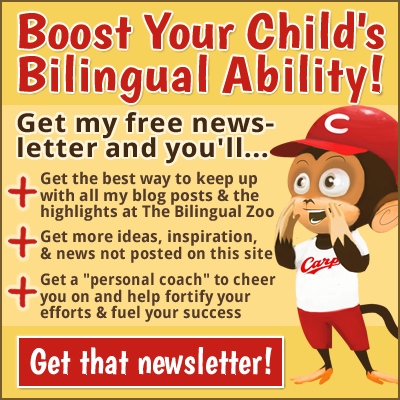 You’re now the parent of a future bilingual child! I’m glad this post spoke to you and I wish you all the best on your bilingual journey! Keep at it, day by day! How sweet! May I contribute by translating it into Spanish? I’d love my husband to be able to understand as well as anyone who speaks Spanish either as their mother tongue or a second language. Caro, many thanks for the offer! That would be wonderful! If you have a blog, I can link to your translation (as I did with the Polish translation) or you can send me a PDF and I’ll share it from this page. Muchas gracias! Adam, I plan to have a blog… pretty soon, like this year, maybe in a couple of months but not yet. Still I will start translating at this moment. Will send it to you in the next days.